Challenge: Ensure that technology infrastructure will support business transformation, new growth and services. 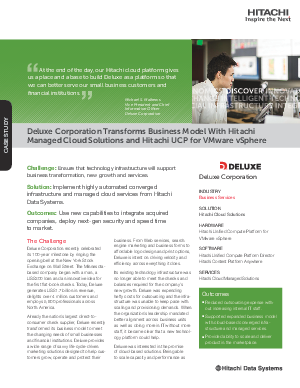 Solution: Implement highly automated converged infrastructure and managed cloud services from Hitachi Vantara. Outcomes: Use new capabilities to integrate acquired companies, deploy next-generation security and speed time to the market.